Time to put together your best superhero look and grab your running shoes for The Sheriff's Heroes Run! Join emcee, NBC Bay Area's Robert Handa, at the Cupertino Civic Center on Saturday November 8th dressed as your favorite hero, superhero, or simply come out and support the heroes in your life. Enjoy games and prizes for kids and their families, including best kids' costumes. 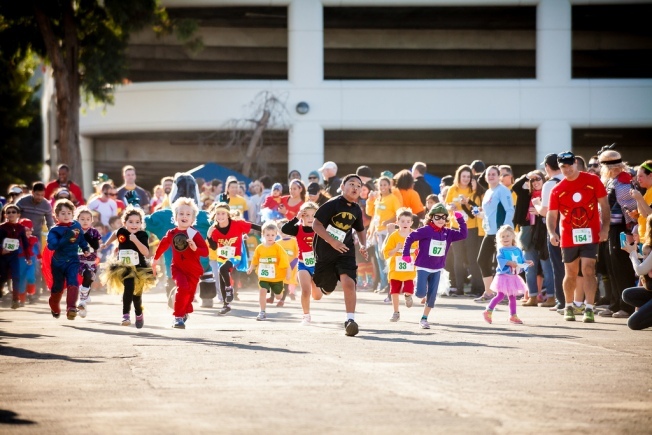 The annual 5K run/walk and kids fun run is produced by the Santa Clara County Sheriff's Office and Valley Medical Center (VMC). Proceeds benefit the Santa Clara Valley Medical Center, which has served as a regional pediatric center for more than 50 years. With more than 80 board-certified specialists in pediatrics and neonatology, the Pediatrics Department provides quality care in nearly every pediatric sub-specialty.